The Incumbents shall be paid market competitive remuneration & other benefits. 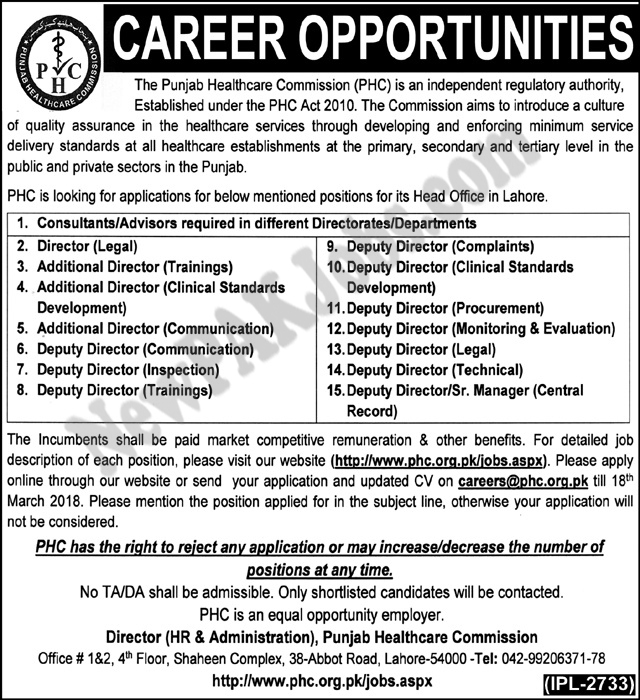 For detailed job description of each position, please visit website www.phc.org.pk/jobs.aspx Please apply online through our website or send your application and updated CV on W till 18th March 2018. Please mention the position applied for in the subject line. Otherwise your application will not be considered. PHC has the right to reject any application or may increase/decrease the number of positions at any time.